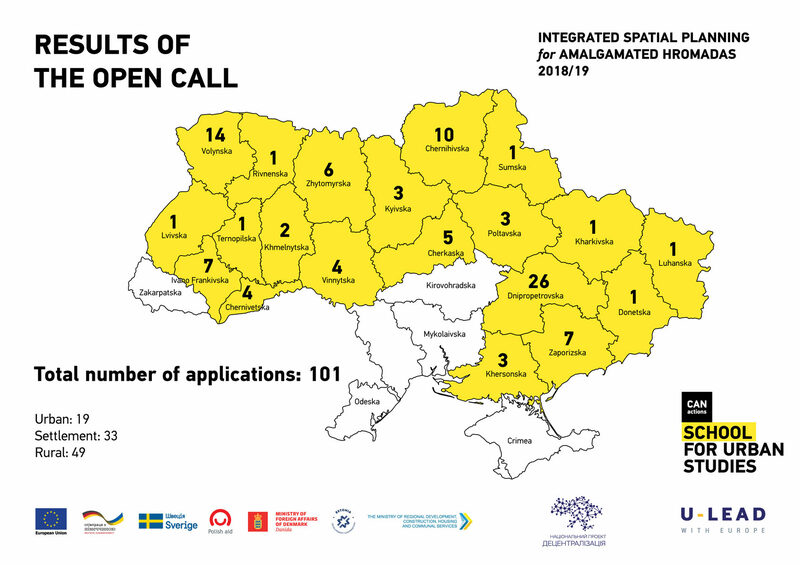 From October 12-28, 2018, CANactions School for Urban Studies has received 101 applications from amalgamated hromadas from 19 oblasts of Ukraine, among which there were 49 rural hromadas, 33 settlement hromadas and 19 urban hromadas. From September 5 to October 7, CANactions School for Urban Studies has received 105 applications from spatial planning practitioners from different regions of Ukraine, as well as Belarus, Germany, Norway, Croatia and the Czech Republic. 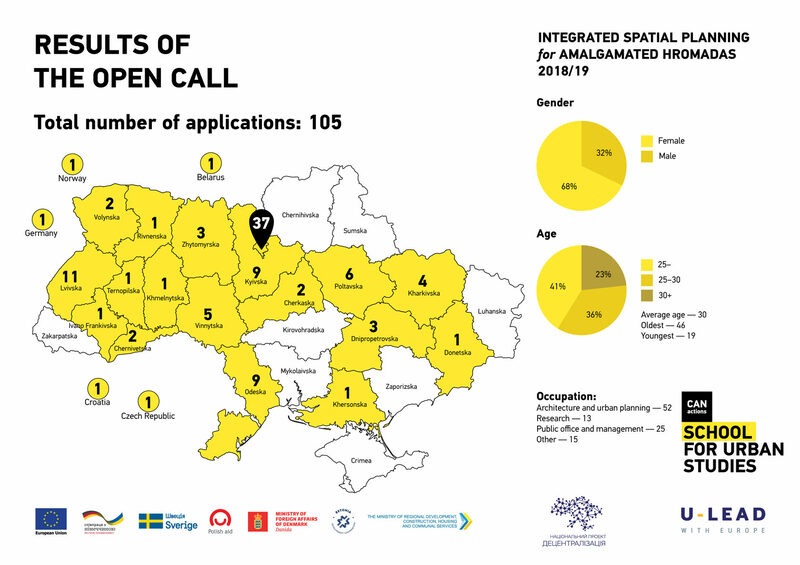 Amalgamated hromadas and spatial planning practitioners will be selected for participation in the program on a basis of the results of the open call. The list of selected hromadas and spatial planning practitioners will be announced on October 17, 2018. The program is organized with support from U-LEAD with Europe Programme.